So im wanting to do the power mode mod on my 1991 legacy ss. But i have read that I cant because the pin 4 goes to the cruse control. I'm wanting to know if i get a tcu from a 92-94 na legacy would my connectors fit into it? or would i need to get the whole wiring harness from said car to make it work. 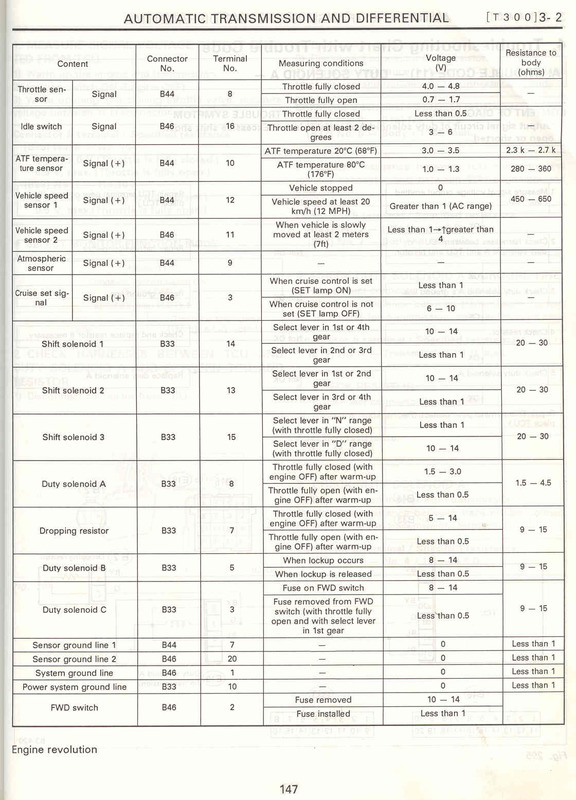 From looking at the wiring diagrams it looks like that pin 4 to the cruise control is different and there's a pin B46 pin 15 that is on the 90-91 cars related to the speed sensor 2 and it's not there on the 92 wiring diagrams. In theory I think you could run the 92 TCU, however I'm not sure if the transmission would like the non-turbo TCU. You'd need to snip that wire at pin 4 so it doesn't interfere with the cruise (your cruise control may not work), and you'd probably want to look into whether your car has the pin for the speed sensor 2. Do you have the different diagrams for the 91 and 92-94 tcm that you could share? These are from the 90 MY, but should be applicable to the 91. I'd have to double check when I get home. Similarly I'll have to check the 92-94 when I get home. The 90 & 91 TCU I/O is identical. The only differences I saw was the 92-94 TCU I/O notes the atmospheric pressure sensor input is for non-turbo only. The other thing I found was that the 90-91 TCU I/O has the brake switch labeled incorrectly. The 92-94 TCU I/O is correct and that's how the 90-91 is wired as well....the FSM is just wrong. 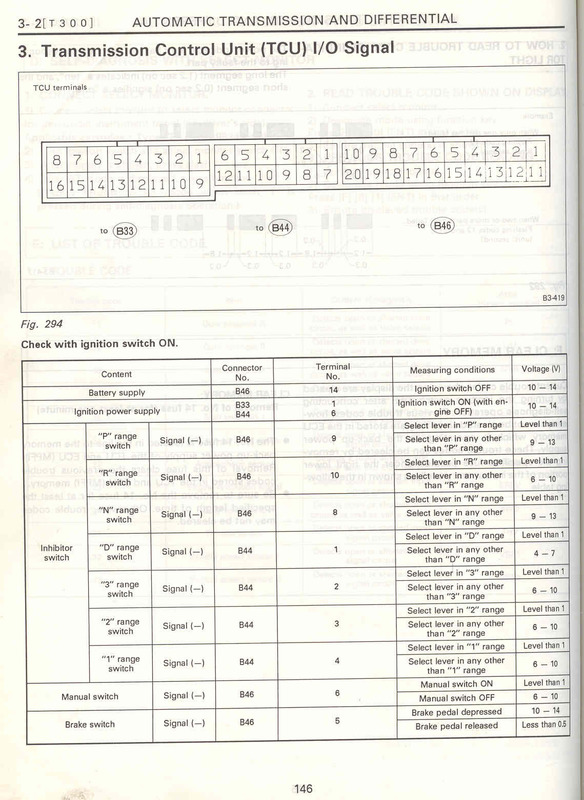 You can check the individual wiring diagrams and they match vs. what the I/O lists.